If you could know that your actions today would guarantee a better future for your child, you’d make the choices necessary to assure the best future possible for them, right? Of course you would; any parent wants their child to succeed in life and go on to be happy and secure. Research shows time and again that early math skills heavily determine your child’s overall success. So what more can parents do to help develop their child’s early math skills? From reading and writing to overall comprehension and problem-solving, math plays a huge role in your child’s future. They don’t need to go on to be in even a remotely math-heavy career field to experience this. PayScale’s latest College Salary Report is especially eye-opening. STEM grads have a mid-career average salary of $103,408. This is a big deal considering the cost of higher education and student loans. As you see the digitization of different industries, you can watch as the skills needed for success in these industries evolve to include more math. Take, for example, marketing. It’s now a completely different field than it was 10 or 20 years ago. With the rise of new ways to measure marketing performance, the field increasingly relies on analytics, data, and reporting. All of these require math comprehension. It’s not just monetary success that goes hand-in-hand with math skills, either. Other studies find that math skills are necessary for jobs that have a better work environment and greater employee satisfaction as well. Aren’t these two aspects of working life we would never want to deny our children? The way math influences your child’s success isn’t simply by enabling them to solve an equation. Below the surface, math teaches children a new way of thinking, analytical skills and methods of problem-solving that will always be true and precise, no matter the circumstances. Even before a child reaches college or career age, math influences their success otherwise. Early math skills predict future reading achievement and other academic performance, regardless of a child’s socioemotional behaviors and socioeconomic backgrounds. In this way, mathematics is a philosophy that’s also an exact science. In traditional philosophy, you might philosophize about knowledge and love and define those concepts any way you want. In mathematics, you define something precisely and then can extrapolate what’s true, precisely and exactly, from there. Mathematical theories are more than theories, they’re logically true, unlike perhaps a theory in physics or other branches of science, where the theories can change over time with new discoveries and methods of measurement. Math, however, is always true. Having that as a tool to approach other ideas and use as a scaffold for further thinking and theorizing is extremely important. I’ll go into this toolbox of math-taught skills further in next week’s blog post. Setting your child up for success in math and then later in life isn’t as easy as teaching them to count before they go to preschool. When children simply learn to memorize math facts, they’re not internalizing the math-related skills that influence that later success. Students are more likely to succeed when they begin to understand the logic behind numbers, rather than being able to just spout off multiplication tables on command. In fact, your child’s skills in math might not have anything to do with how quickly they can solve basic problems; when your child takes the time to think about the numbers, they get closer to cracking into the problem-solving and analytical skills that give math its value in any career. 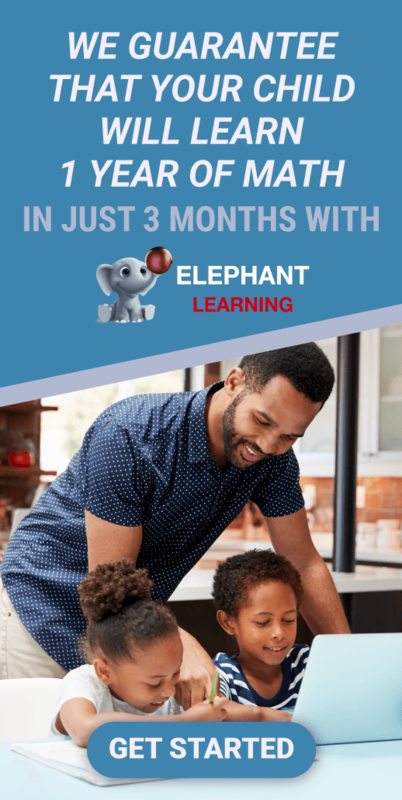 The Elephant Learning app helps your child learn mathematical concepts and truly understand them before moving on to the next concept, rather than just asking them to memorize numbers with a few flashy games and boring repetition. If you’re looking for math resources for your child to set them up for long-term success, then you’re already on the right track. Get started with the Elephant Learning app to ensure your child develops the math-related skills necessary to succeed in any career.